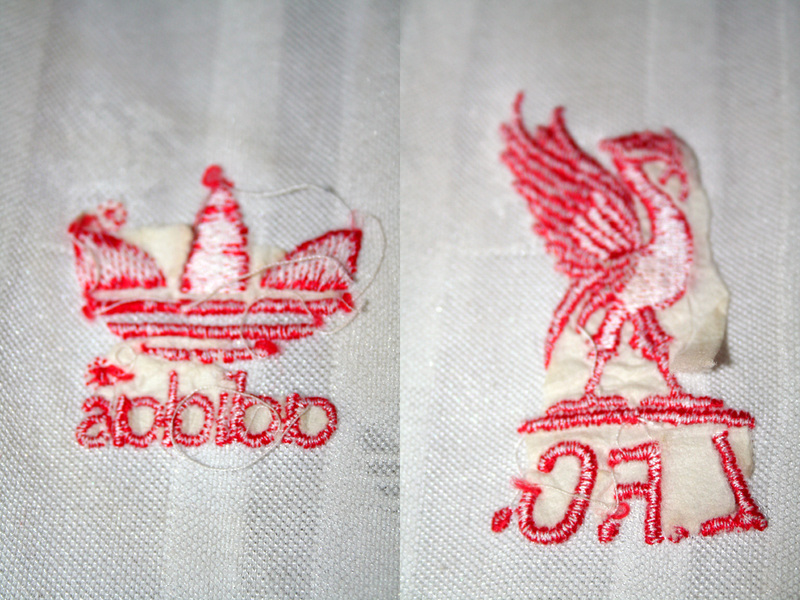 In year 1985, Adidas took over as the sponsor of Liverpool kits. The first away shirt has V-neck collar. 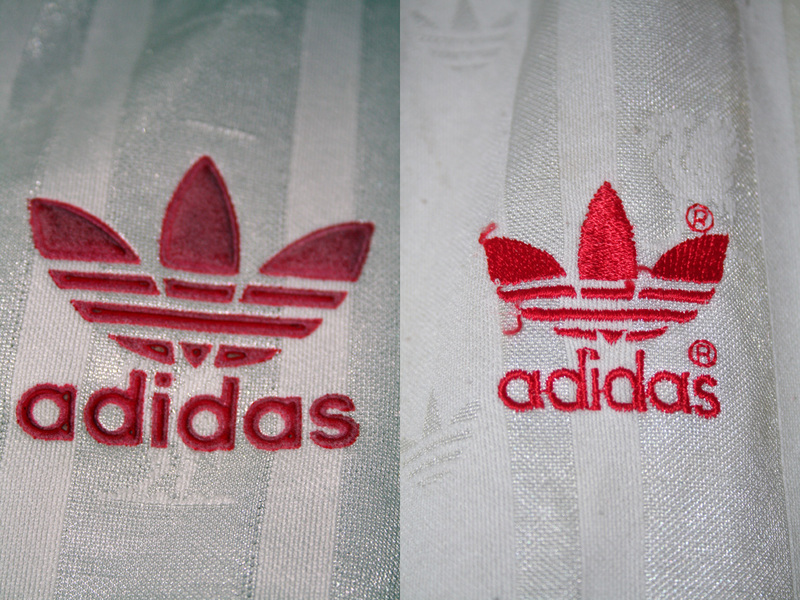 There existed two different versions - first one with single-lined Crownpaints sponsor, and the second one with double-lined Crownpaints sponsor. 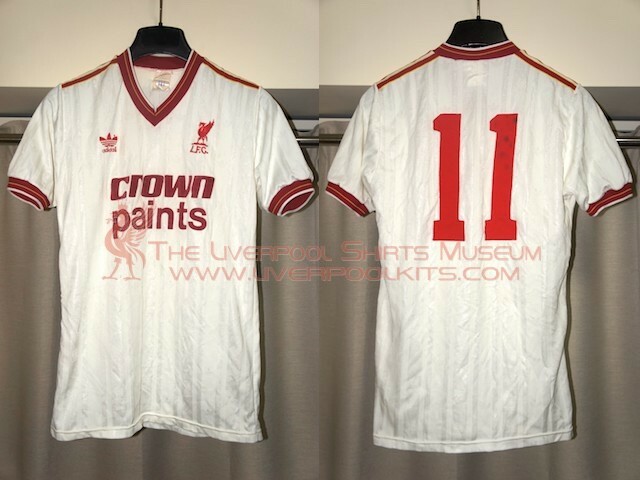 Liverpool 1985-1987 Away Player Shirt - Numbered 2 shirt belongs to Phil Neal in season 1985-1986 and Gary Gillespie in season 1986-1987. 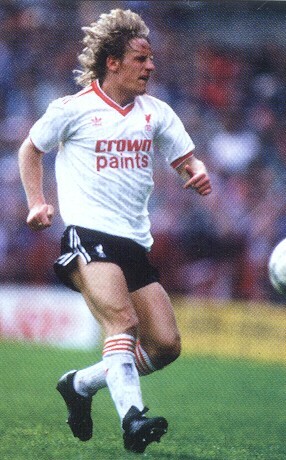 Featured Paul Walsh wearing the 1985 away shirt with double-lined Crownpaints sponsor. Right: Manfacturer logo and letters are embroidered on the players shirt. 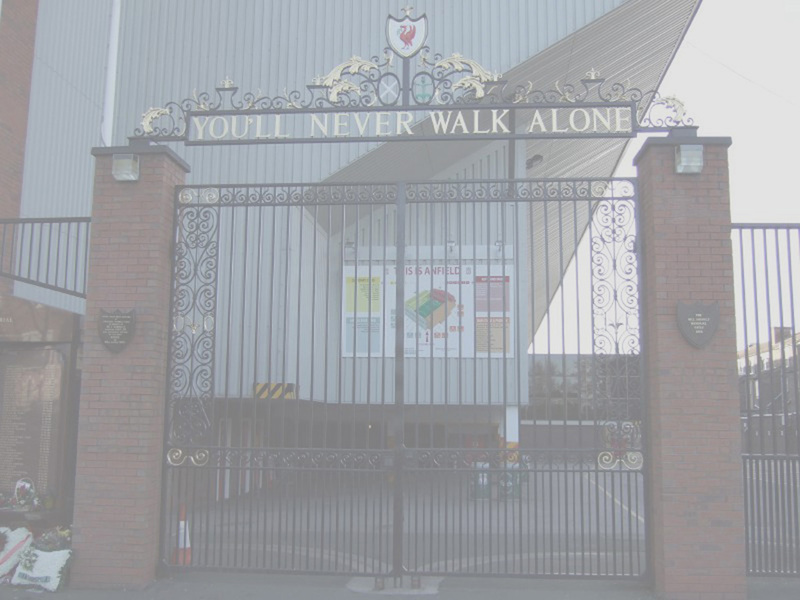 Left: Liverbird is embossed on the replica shirt. 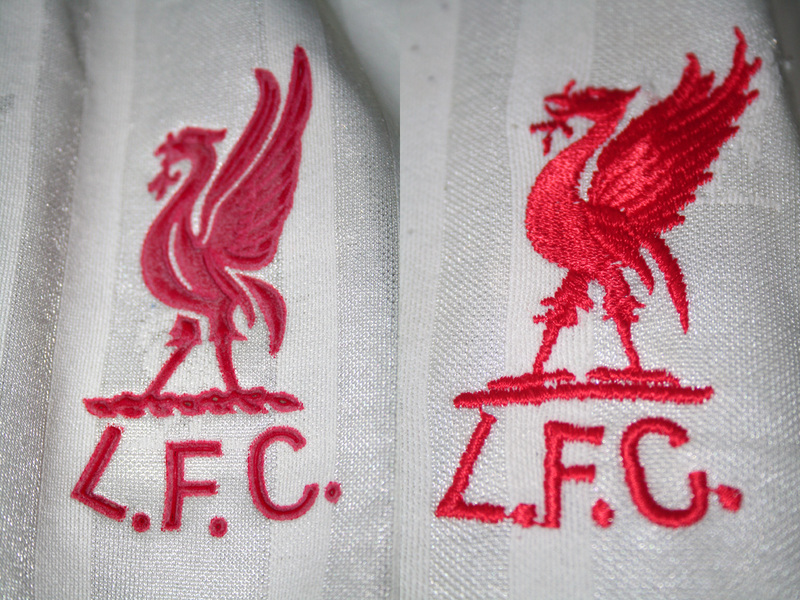 Right: Liverbird is embroidered on the players shirt.